A Purge participant on his way to kill someone, probably. By now, you know how The Purge works. Once every year, virtually all crimes become legal for 12 hours during which people are free to do whatever they want without fear of consequences. Shockingly, Purge night is always a brutal and bloody event that many do not survive. The new trailer for The First Purge gives us a look at how it all started. So far, each of the films in the Purge franchise has been predominantly focused on how poor people have managed to survive the annual country-wide massacres without the protections that only the wealthy can afford. 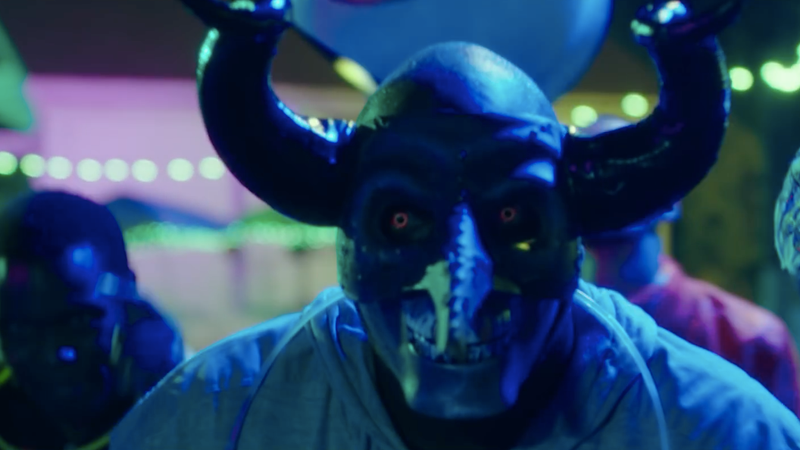 From the looks of this trailer for The First Purge, however, the movie’s going to be something slightly different. As its title suggests, The First Purge will tell the story of how the New Founding Fathers convinced the public that the Purge was an idea that would work: by sending in trained military officers to pose as civilians stalking through cities to kill targets the Purge’s supporters want gone. Who would have imagined that the US government would sanction paramilitary groups moving into neighborhoods of color in order to kill black and brown people in the name of making the country a “better” place? What. A. World. The First Purge hits theaters July 4.